Frozen lobster tails retain much of the same quality as freshly caught lobsters, but only if you thaw them properly. Thawing too quickly or at the wrong temperature not only compromises the safety of the seafood, it can also cause an enzyme action in the meat that ruins both texture and flavor. 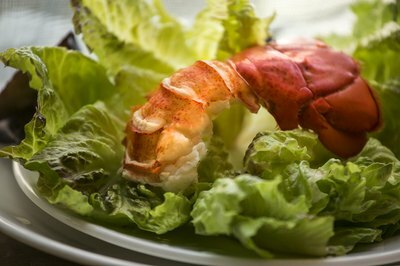 Slow thawing keeps the cell walls inside the lobster tail firm so the seafood suffers only a minimal loss in texture. When time allows, thaw the tail overnight in the refrigerator. Leave the tail fully wrapped and place it on a plate or in a shallow bowl to catch any liquid that drains. Pull it from the freezer the night before so it has all night to thaw. If the tail is still slightly frozen the next day, you can still prepare and cook it if it has thawed enough to become pliable. A sink of cold water provides a quick thaw alternative if you only have a couple of hours before the lobster tail needs to be on the table. 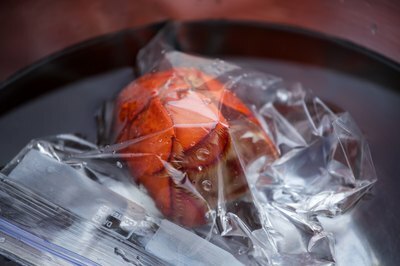 Place the frozen lobster tail in a sealed plastic bag, pressing out as much air as possible before closing the bag. Submerge the tail in cold water for 1 to 2 hours, or until it's almost completely thawed and pliable. Changing the water for fresh every 30 minutes ensures it remains cold enough that the lobster tail stays at a safe temperature throughout the process. When you have even less time to defrost that lobster, let the microwave come to the rescue; use it only when you have no other alternative, since it can compromise the texture of the seafood. 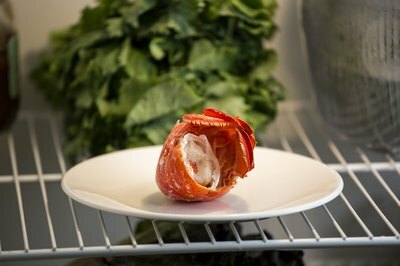 Place the unwrapped lobster tail on a microwave-safe plate and defrost it for 1 minute on the defrost setting, or at 30 percent power. After 1 minute, check the tail and rotate it if necessary. Continue to thaw at 30-second intervals until the lobster tail is pliable but still slightly frozen. 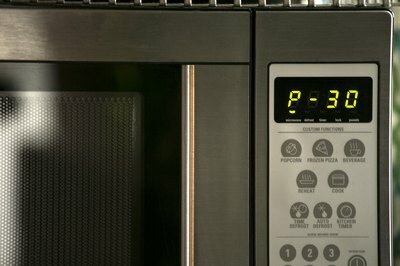 Avoid over-thawing in the microwave, which will begin to cook the tail. After thawing, use the lobster tail within 4 hours to ensure the best quality. Lobster tails aren't suitable for refreezing after you thaw them, regardless of the defrosting method. Don't leave the tail at room temperature, because this increases the chances of foodborne illness and can cause a mushy texture to develop. When preparing and cooking lobster tail, sanitize cutting boards and countertops afterward with a solution of 1 tablespoon bleach in 1 gallon of water. 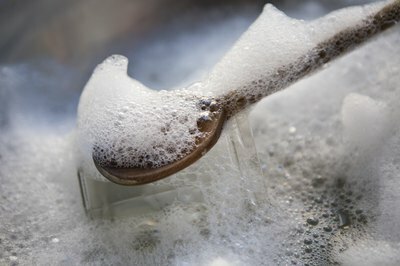 Wash utensils thoroughly with hot soapy water, and wash your hands with soapy water for at least 20 seconds.